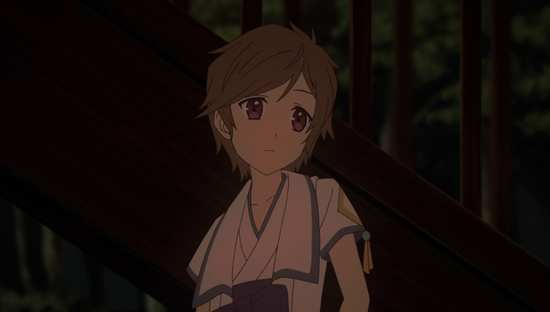 If I love an anime show on DVD, I’ve got into a habit of getting the Blu-ray, as the difference between the two formats in terms of image quality can be greater even than that for live action. 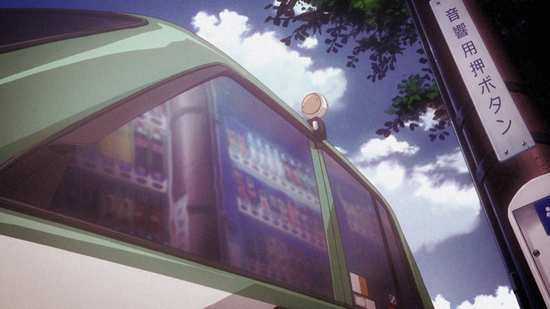 There’s something about the crispness of line art, and the uniformity of colour shades in animation that is hard done by in SD resolution, in a way that isn’t as degrading to more the more complex and rich imagery of real life. I loved From the New World when I first watched it, more so than many other anime of the period, but I’ve taken my sweet time in upgrading to Blu-ray. That’s because the Blu-rays have player compatibility issues, issues so intractable that MVM wound up sending copies of the DVD to purchasers who couldn’t play the Blu-ray. I waited till the price of the sets was low enough to take a chance on before shelling out. That happened last Christmas during MVM’s 12 Days sale. The New World of the title is the world of the future, 1000 years hence, when humanity is finally at peace, and existing in small peaceful rural communities free of pollution, greed, over-exploitation and crime. It’s all down to the mind, as mankind really has evolved. Now, everyone is born with psycho-kinetic abilities, the power of mind over matter, and from birth is taught how to control those powers, use them in a constructive way to be an integral part of the community. For Saki Watanabe, the next milestone on her journey to adulthood has arrived as she graduates from elementary school as her powers develop. She’s a late bloomer, the last of her friends to start the Academy, but it’s when she realises that she is the last in her class to graduate that she starts to ask questions about her world. What happened to the children that were left behind? Why do children at the Academy vanish? And what is it that the adults don’t tell them about the world in which they live? Why aren’t they allowed even to be curious? 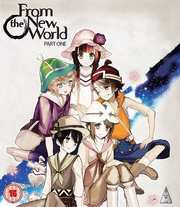 Thirteen episodes of From the New World Part 1 are presented across two discs from MVM. From the New World gets a 1.78:1 widescreen 1080p transfer. The show looked good on MVM’s DVDs, but the Blu-ray is a whole other level. The transfer is really quite good, bringing across the animation smoothly, offering excellent detail for the image, and the show’s spectacular colour palette is done full justice by the Blu-rays. The only niggle is the familiar complaint of banding, this time it’s really only in scene fades, and one or two darker moments. It’s not as bad as it could have been. From the New World’s animation is fantastic. 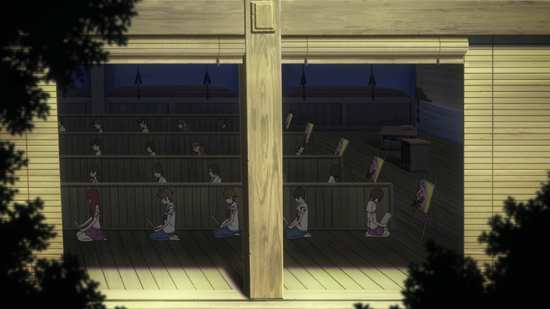 The backgrounds are rich in detail, the character designs are evocative and memorable, and the quality of the animation borders on the theatrical. 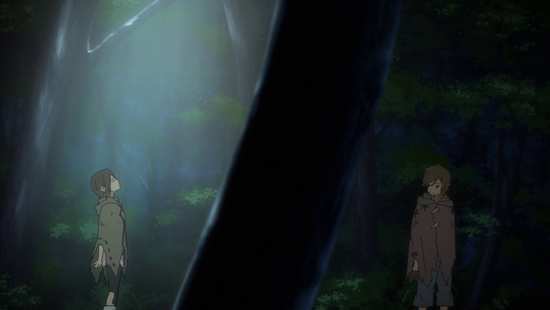 From the New World is a rare, purely dramatic show, and it makes great use of style and atmosphere to tell its story, whether it’s grainy flashback sequences, silhouetted animation, or rotoscoped character animation for the action sequences. It’s a high quality, high budgeted work that really does sell its story on the strength of the visuals. It makes you forget that you are even watching an animation, and lets you lose yourself in the story. You have the choice between PCM 2.0 Stereo English and Japanese, with translated subtitles and a signs only track locked during playback. It will come as no surprise that I went with, and was very happy with the original Japanese audio. But I did have some trepidation about the usual standard of Sentai dubs, and from what little I sampled, it wasn’t quite that bad. Some of the characters, particularly Maria didn’t get suitable voices, but the actor performances are a little more agreeable this time around. The dialogue is clear throughout, there’s a nice level of stereo separation for the sound effects, and the show’s music works well. The subtitles too, are accurately timed and free of typographical error. One problem with this release is that episode 13 has out of sync Japanese audio. 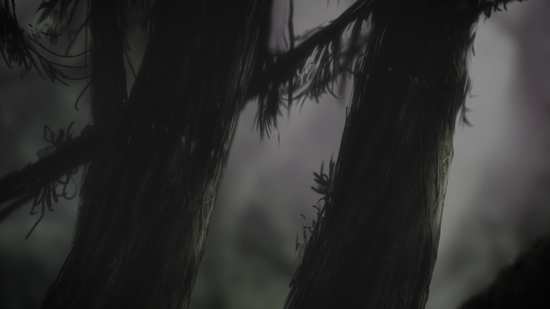 The audio precedes the animation by a couple of lip-flaps, so you might be able to compensate with a suitably equipped home-cinema that allows you to add a delay. You get two discs in a BD Amaray case, one on each face, and there is some nice art and an episode listing on the inner sleeve. From the New World presents its content with static menus, and the only extras are on disc 2, namely 6:42 of subtitled Japanese promos, two textless ending sequences, and trailers for further Hanabee (and mostly MVM) product, comprising Girls und Panzer, Familiar of Zero, Medaka Box, Campione!, and Accel World. I really like post-apocalyptic stories. That’s aside from the fact that they gave me nightmares as a child, but with stories set after the downfall of civilisation, you get two mystery aspects to contemplate as you take in the story. First, you have to figure out the rules of the new civilisation that has risen from the ashes of the old, and the second is to try and understand just what caused the end of the world in the first place. That’s apparent in classic sci-fi cinema like Planet of the Apes (although in the classic original, you didn’t even know which world’s apocalypse was in question until that iconic final scene), and Logan’s Run and countless other movies. What makes those films great is how well they tackle those questions, and how much they make you think, offer an allegory to the real world. 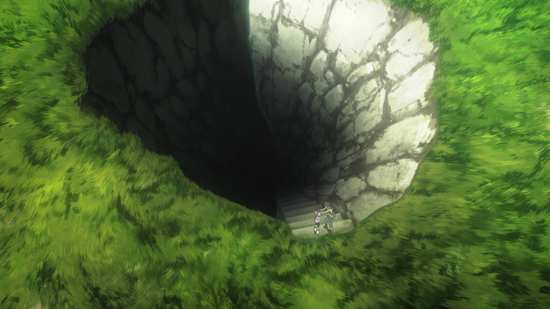 You get it in anime too; post-apocalyptic scenarios are pretty common in all manner of shows, from Texhnolyze and Ergo Proxy, to Daphne in the Brilliant Blue and even Gurren Lagann. 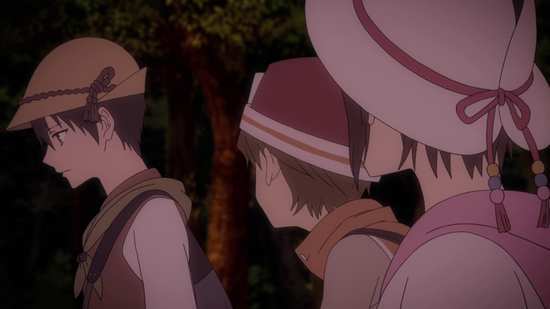 But when it comes to the mysteries, when it comes to making you think, From the New World is probably the purest expression of science-fiction I have seen in anime. It is up there with Planet of the Apes and Logan’s Run. But a thousand years hence, all is happiness and light. Everyone has mind powers, and everyone lives happily in friendly little utopias, rural communities free of stress, pollution, and ill-will. But all isn’t quite perfect in paradise. 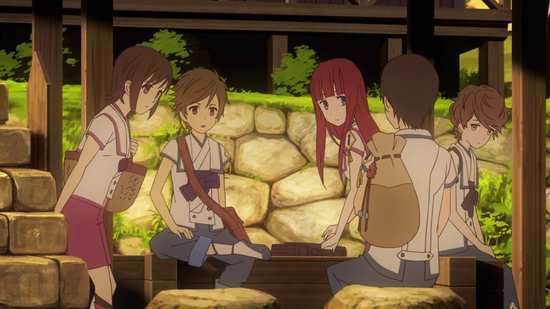 We follow a group of five young friends, girls named Saki and Maria, and boys named Shun, Satoru and Mamoru from age 12 as they grow into their powers, and attend school, aiming to become productive and useful members of society. 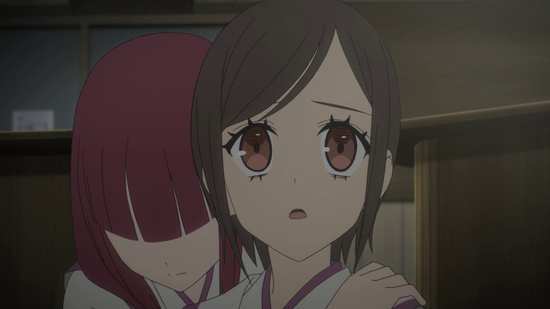 We focus mostly on Saki, who is the last of the group to graduate from elementary school and move on up, and it’s here that we see the first cracks in utopia. For she is literally the last child to graduate, despite there being more children left behind in her class, and the relief that her parents have at her graduation is far more than that just for someone passing an exam. It’s quickly revealed to be a world of enigmas and superstition, the communities are bounded by spiritual barriers, and strange animals stalk the land. Children are told to adhere to a strict curfew, and to stay away from certain animals, such as the Impure Cats, the Monster Rats, to be wary of Ogres and Karmic Demons. And the odd thing is that for children, they aren’t all that inquisitive about certain things in their lives. 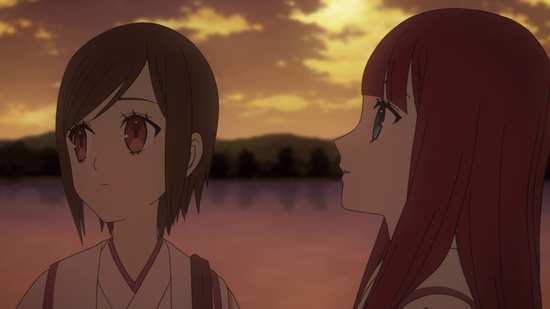 At first it is a shock, a concern that Saki is the last to graduate, they wonder at what happened to the other children, but that quickly fades from their thoughts as their new lessons begin. And then children start to disappear from their class, those children that can’t keep up with their lessons, or those children who display aberrant behaviour, not in keeping with the rest of the group. They question it at the time, particularly when one of the missing children is from their circle of friends, but again the concern fades a little too quickly. 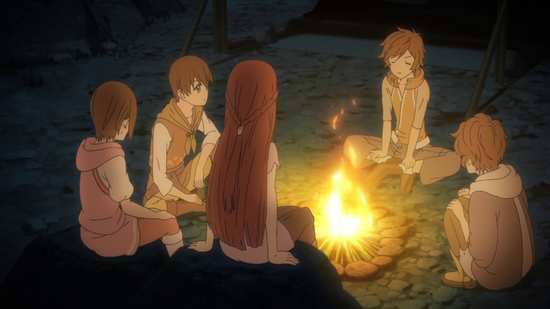 It isn’t until a class trip, where their circle is sent outside the village to promote self-reliance that they begin to get an inkling of the truth, when they encounter one of those proscribed animals, and it turns out to be far more than just a mythical animal. They are breaking some serious rules at this point, but it gets more complicated when Saki and Satoru get caught in the middle of a territorial battle between two colonies of Monster Rats. This perfect utopia of human society exists on the back of slave labour, only this time the slaves are genetically created servants, the Monster Rats, mutated with intelligence, communication, and the ingrained instinct to obey humans as Gods. Only adults are supposed to interact with the Monster Rats, as they have developed their powers. Any weakness shown by a child might negate that instinct for obedience. With the organisation and numbers of the Monster Rats, it reveals that the human society is built on a pack of cards, and the balance could so easily tip. 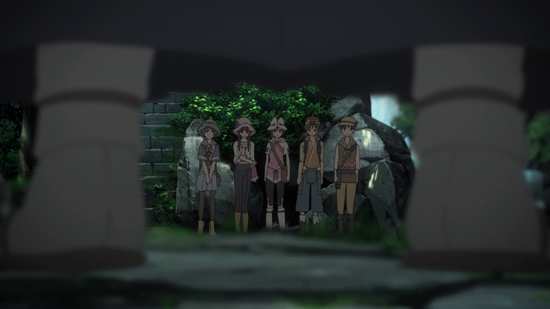 A two year time skip for the characters follows and we catch up to them at age 14, once again their memories of the fateful class trip faded and obscured, although by this point we begin to understand why and how. They’re at that age where they are experimenting sexually, and beginning to pair off, and sexual politics start coming between the friends. But for the five, it happens in a far more tragic way, the consequences of which lead on to the conclusion of this first half of the series. What would happen if a small but significant percentage of humanity suddenly developed mental powers? Sure you could be sneaky and empty an ATM with the power of your mind, play pranks on the unsuspecting passersby, mentally punch someone who irritated you. But what if you were a little too irritated and punched a little too hard? What if you began to enjoy the feeling of power and control over others? What if you got drunk and lost control of your powers? What if you had a nightmare while sleeping, and the next morning woke up to find that you’d killed your family, your neighbours, everyone on your street? It would, fundamentally change the nature of humanity, it would be evolution overnight, and with that kind of power, you would have to impose controls, both internal, and external. There would have to be a counter-evolution, imposed on humanity by humanity to keep such powers in check. And that’s the society that From the New World presents us. On the surface it’s idyllic, but as we peel back the layers, we discover something that is horrific and anathema to us, but peel a little further and you understand that it makes logical sense. 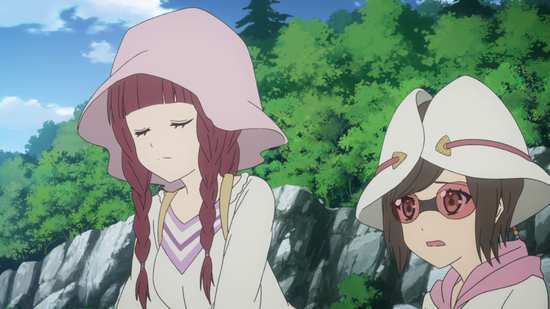 In terms of the story, in terms of the mystery, and in terms of the characters, From the New World is the best post-apocalyptic sci-fi anime I have yet seen. 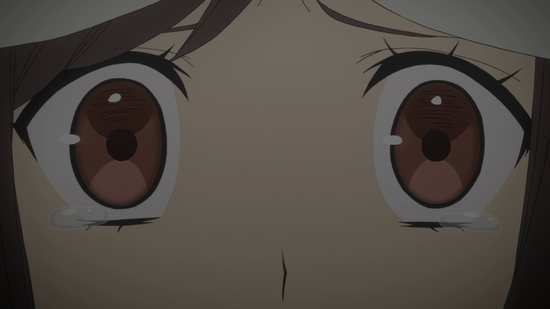 It does leave us poised on a cliff-hanger, with the main characters about to break the rules, balanced with an offer for Saki to be one of the ones ruling this new world, instead of being ruled. Well, to address those compatibility issues, the From the New World Blu-rays definitely worked on a 2013 Panasonic Home Cinema and a 2017 standalone Panasonic Blu-ray player. I’d guess if you have a fairly recent Panasonic machine you should be okay. 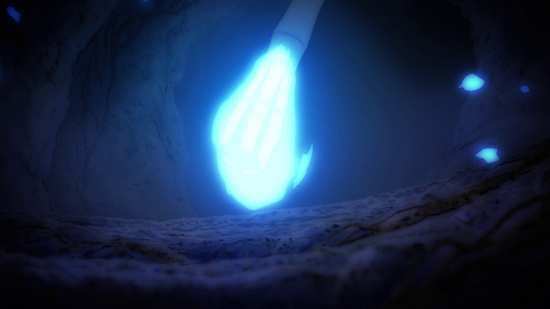 The show maintains its quality speculative fiction chops for a second viewing, while the animation really does benefit from the HD presentation. The only niggle is that out of sync audio on episode 13, but that is just one episode.